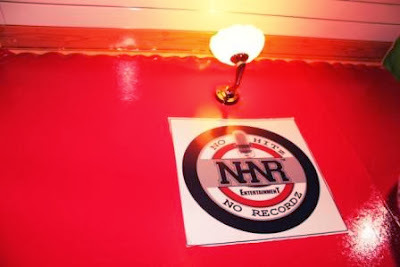 STUDIO: NO HITZ NO RECORDZ REBRANDED ! The burgeoning Cameroon urban music sphere is gradually improving on audio and video production quality in a bid to meet international level. No Hitz No Records is one of the most outstanding production hubs making formidable strides to ameliorate quality. 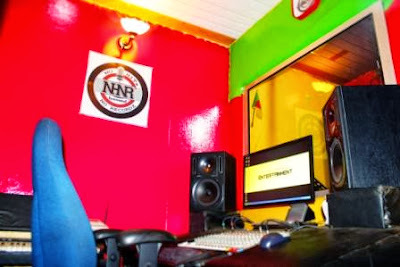 Now situated in Molyko, Buea, the well-equipped studio is manned with competent and accredited producers to deliver the best in all genres of music ; Afro pop, makossa, R&B, Hip Hop, folklore, reggae etc. 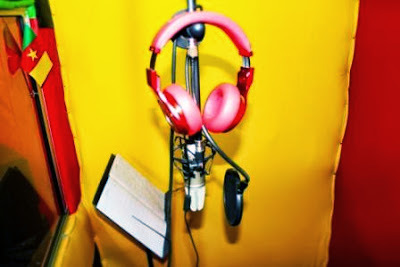 It’s the right place for recording, mixing and mastering your music. 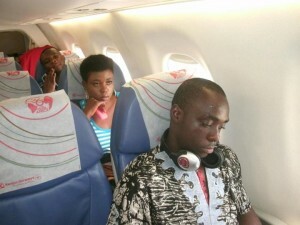 No Hitz No Recordz is the powerhouse behind the group Rhythmz, Daphne , Boy Slim and many fine talents. 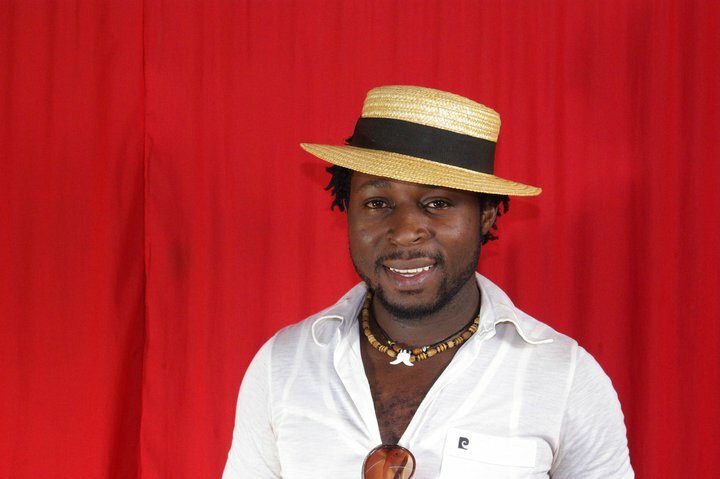 The CEO , Prince Mykel Enobi is quite categorical on the fact that his motive is to revolutionalise the art of production in Cameroon. trong>Indomitable Lionesses yesterday failed to beat the Ethiopian ladies during their last group match. Enow Ngatchu“s side only managed a draw against the little – known Ethiopians whom everybody expected would be mauled to death. Lucky for them, they could and did qualify due to Nigeria”s 3-1 beating of Cote d”Iovire. They thus qualify with just four points. In the semis, they will face host country Equatorial Guinea. The other women”s AFCON 2012 semi pits South Africa against Nigeria. If they hope to qualify for the finals, the Lionesses must do better than play draw-quality football since their opponents will be playing in front of their home crowd. Good luck Lionesses. After featuring on Adah’s ”Yokoko”,Yaounde-based artist DJO has been phenomenal in his style and vocal aptitude. No doubt fans have been requesting for his songs . The R&B crooner and music producer has wasted no time to drop a tuneful single titled ”Babe u so fine” to be savoured. Rumours have been rife that he is Adah’s younger brother. NexDim is yet to confirm. Hey Nexdimers and fans of TrackZone records and its never ending good music, here comes the newest artist of the house Angel Montess. She presents to y’all ‘Hands Up’. A love song in a kinda moving forward story of a broken hearted girl. In her lyrics she appreciates all they have shared while together. The sound of her voice can break open the clouds, oh gush this girl is good. Listen and I know you will definitely put your hands up to this. K- town’s very own ajebota guru West Don has just released an all brand nu hip hop makossa single dubbed ‘Cameroon Nyango’ done in his own western style. 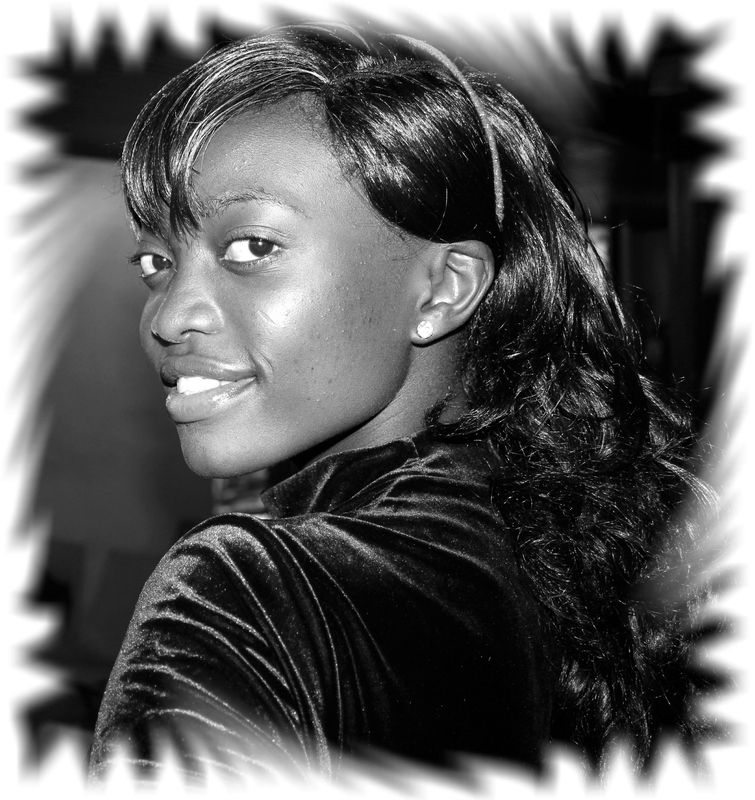 The track was programmed at Westox Records Kumba, mastered and recorded at M1 studio Buea. Its all about praise singing Cameroonian girls, telling the entire world how beautiful they are, and also helps promotes the towns and cities in our country. 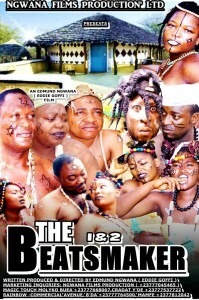 This is the latest hit from the King of Ajebota. Swedish based Cameroonian makossa, zouk love, and world music artist Microsoft Frank Bila presently is in Cameroon for the recording and production of his upcoming album, title still to be decided (says you don’t name a child till after his birth). 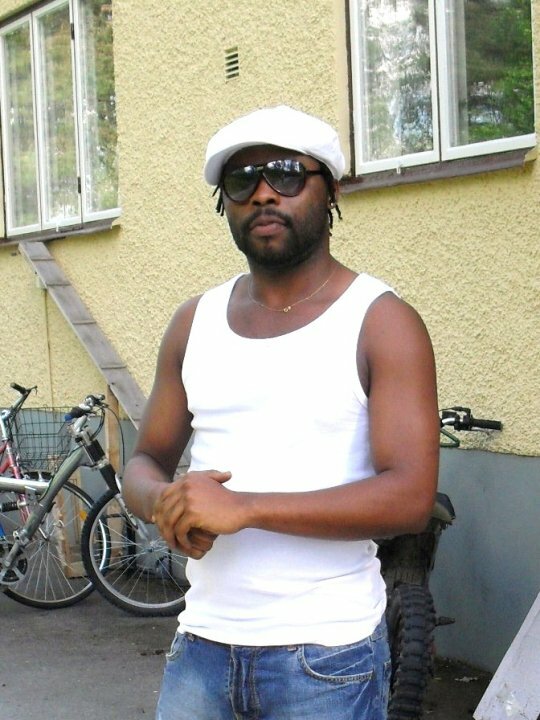 The uprising singer does his thing in french, English, Duala and pidgin English and his sixed-tracked album has titles like ‘Blue world’, ‘La fete’, ‘Maman’, ‘Mauvais mari‘. 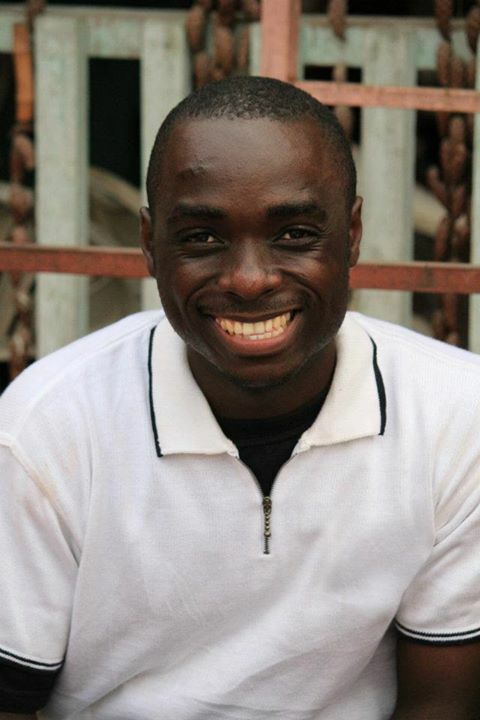 Back in his school days in the University of Dschang Cameroon, Frank Bila used to sing in the school orchestra and has taken part in the Buea University cultural festival of 2003 leaving with a gold medal. His role model is none other than makossa king Petit Pays. Putting much efforts day in, day out at M1 studio, his album will be released any time soon. Nexdim promises to bring you more updates on Bila. JCI Cameroon Award of the Ten Outstanding Young Persons of Cameroon (TOYP) in different categories like Business, Economic and/or Entrepreneurial Accomplishment, Agriculture, Medical Innovation and Culture which took place at Djeuga Palace Yaounde, had Emile Ngumbah of M1 Studio going home with an award in the cultural domain. 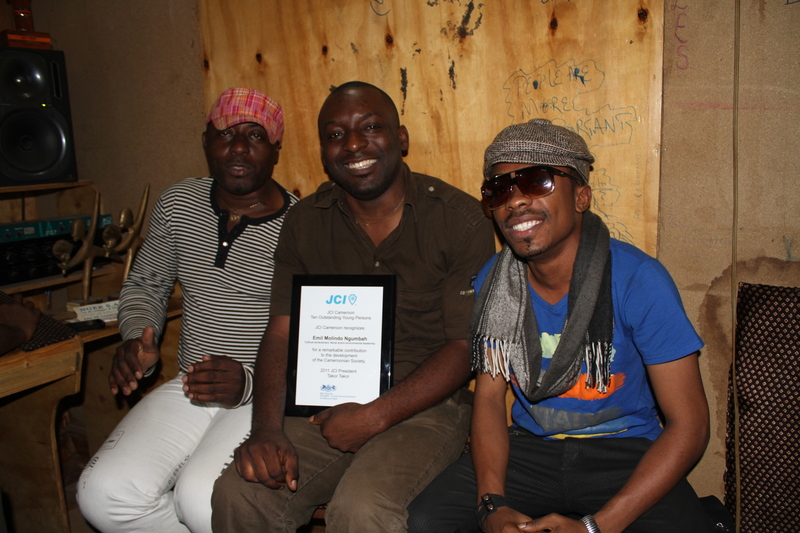 M1 Studio is one of the most renown recording labels in Cameroon. Based in the burstling town of Buea in the South West region, it has worked with almost all of Cameroon’s most known artist nowadays – Achalle, Bate Nico, Bright Phase, Narcisse Pryze you name the rest. Back then Emile was out to train young talented Cameroonians in a bid to help them discover themselves, but today since 2003, most of his trainees are featured in each and every musical competition within Cameroon and Africa is it the Nescafe Competition, Kora Awards, Star de Demain, Music Star, CABAHO Festival or which? Thus, to celebrate such cultural achievements and leadership, M1 studio man received an award for JCI TOYP of Cameroon under the cultural domain at Djeuga Palace, Yaounde.Present at the occasion were the Minister of Culture, Aman Tutu Muna, CRTV’s General Manager, Amadou Vamoulke, American Ambassador Representative, British Ambassador Reresentative amongst others. Speaking on a one on one chatting session with nexdimempire.com, Emile expressed so much joy and how he felt so overwhelmed to have been seen from such a distance. This will only go a long way to give him more urge and power to work even more harder, so he says.